Camp Fire board members and staff meet with employees representing Duke Energy on Jan. 29. The Hines & Tiger Bay Energy Facility 2018 Power of Giving Golf Tournament was held on Friday, December 14, 2018 at the Bartow Golf Course. 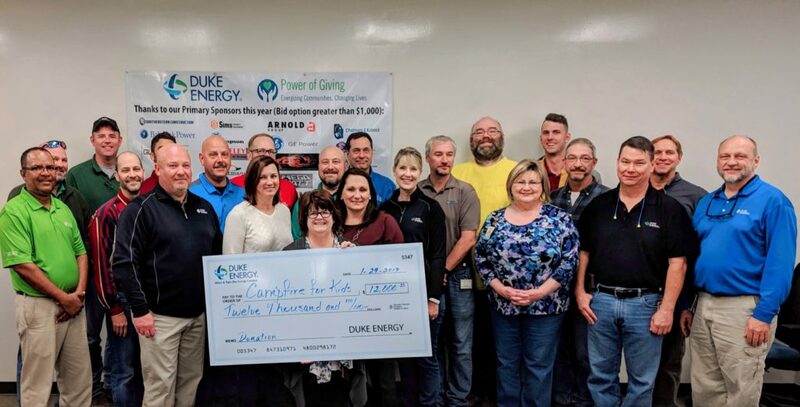 Proceeds from the tournament support the Duke Energy Power of Giving Campaign. Camp Fire was chosen as one of the benefactors for the tournament. The proceeds will be used to purchase onsite storage at Camp Fire’s Buckingham Avenue campus, which has been a critical need. We are grateful to Duke Energy for their generosity and we look forward to working together in the future!